Whether you’re buying a new pair of shoes or you’re simply window shopping, going to the mall is always fun. At the great malls of New Mexico, you’ll find clothes, shoes, accessories, household items, and more. Here are the best in the state. Located just outside the greater Santa Fe area, this is the sole outlet mall for the entire state. It features 30-plus stores anchored by Famous Footwear, Polo Ralph Lauren Factory Stores, Under Armour, Coach and Wilsons Leather. Pick up a Green Savings Card for $5 when you go, which opens the door to special offers and added discounts. Stroll through this open-air, pedestrian friendly center, a place for dining, entertainment and shopping. The 220,000 square-feet of space is a distinctive mix of retail shops, restaurants and fun. 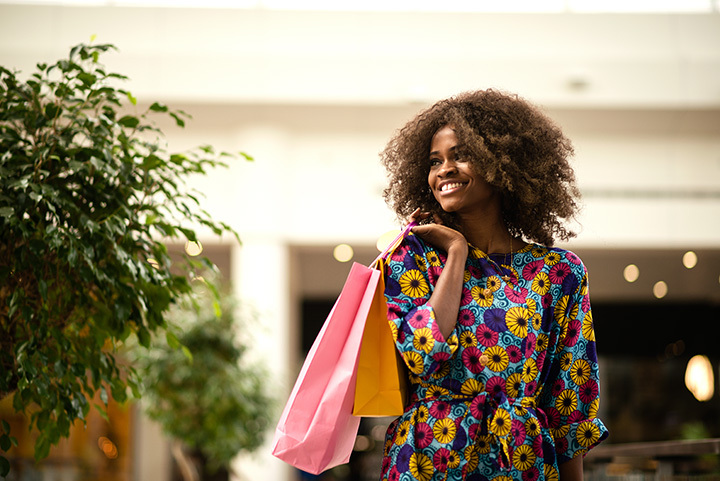 Join the Mall Insider program for special deals, information on mall events and a chance to win a $1,000 shopping spree. Some retailers offer military discounts. Stores run the gamut from clothing to shoes to housewares to fashion accessories. This regional enclosed shopping center is huge and draws customers from throughout the Four Corners area. Anchored by Sears, JC Penney, Dillards and Animas Cinema 10, tens of thousands of visitors come here to dine, shop and be entertained. The food court seats 400. Other dining options include Fuddruckers and Texas Roadhouse. A part of the local community for more than 25 years, this mall has plenty to keep shoppers busy. As the only enclosed regional mall in a 95-mile radius, this shopping center is a destination for customers from across the eastern part of the state. There’s a diverse mix of national retailers, a wide-range of dining choices and a number of entertainment choices. The mall is not huge, but it’s clean and tidy and there is a mall-wide commitment to good customer service. Sign up for special deals and coupons online. Free Wi-Fi throughout. Skylights provide a natural light ambience that makes this indoor shopping center a relaxing place to shop. It has an old town feel to it, much like the heritage of the town it’s in. Built in the 1980s, it’s large, with more than 600,000 square-feet of space and boasts upwards of 80 stores. Hot deals, inside scoop about events and mall happenings and special discounts at stores are accessed through a VIP sign-up program. Looking for something to do with your kids? Take them to this mall. There’s fun, games and rides inside plus a good selection of dining and snack options. Many events are held here celebrating holidays, as well as a Kids Fest that takes place every year. Sales and discounted merchandise in every store is promoted regularly on-site and online. The first Furr’s Cafeteria opened in town in 1946. It’s now an anchor restaurant at this mall along with JC Penney and Stage Department store. Other stores are varied and include food items, fashion accessories and other services. It’s small but mighty in its effort to create a clean and pleasant shopping experience. Plus there’s plenty of parking! South Central New Mexico is home to this quality mid-sized shopping mall. Notable retailers include Beall’s, Big Kmart and JCPenny. There’s also a familiar mix of retails stores from shoes to jewelry to clothing and fashion accessories, plus dining options, services like hair salons, medical and, of course, an Armed Forces Recruiting office since Holloman Air Force Base is just outside of town. The mall is named after legendary and colorful local character, John Dunn. His house is on the National Historic Register. Stroll through the gardens and window shop at the 20 unique stores. Handmade leather goods, fabrics, books, kitchen supplies, fossils and minerals, New Mexico arts and crafts and southwesters fashions for men and women are some of the merchandise you’ll find. All day parking available, so stay awhile. A fun-filled day is in store for shoppers at this beautiful mall in the city’s dynamic retail district. With more than 130 stores, there’s plenty of variety for customers of all ages. Trendy fashions, the latest in technology, stylish home and housewares, health and beauty and sports and fitness shops are the stand outs here. Bring the kids and let them run around the children’s play area and then take them for some ice cream.